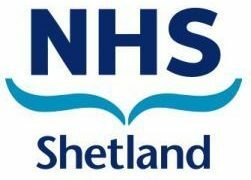 NHS Shetland is to recruit another consultant psychiatrist to bolster the in-isles mental health team. The NHS board decided yesterday to advertise for another consultant in a move that should cut locum costs by at least two-thirds and provide better patient care as well as easing staffing pressures. But board members heard that recruitment was not a foregone conclusion as a recent drive to recruit GPs was met with limited success – no-one applied for the doctor job in Walls which will be re-advertised along with a part-time GP post in Brae. The board heard that adding another consultant psychiatrist would bring the consultant roster up to three, plus a specialist mental health doctor who acts under the consultants’ supervision. It should also greatly reduce the cost of providing locum cover, which was identified as £625,000 for a full year. The cost of a psychiatric consultant is put at £166,000. The board heard that advertising for the post could go ahead in November and that the extra psychiatrist could be in place by the new financial year. Chairman Gary Robinson, who helmed his first meeting after he took over from Ian Kinniburgh, said that recruiting was a short-term cost to make a long-term saving. The board considered a report that says there is “continuing fragility” within the psychiatric team and the demand on psychiatrists “very high for a small population”. All out of hours work had been undertaken by the locum, and “this is not sustainable”. The board also revisited the difficulties of recruiting GPs to the isles. Lerwick Health Centre will be fully staffed by the end of August and Scalloway is short of one GP. A full-time GP at Bixter should be in place by January. Yell faces a 35 week gap in having a GP while Unst faces a 25 week gap. Advertising will go ahead again for Walls and Brae, following an unsuccessful recruitment drive.